After months of conflict, citizens of Flagstaff finally have an answer as to whether the city’s controversial minimum wage ordinance will live or die…that answer being “not yet, but try again later.” In a widely-attended Valentine’s Day session, the Flagstaff City Council elected not to hold a special election allowing citizens to vote on amendments to the ordinance. Instead, the proposed amendments will appear on the ballot during the November 2018 general election, more than a year after the minimum wage increase goes into effect. Flagstaff’s Proposition 414 was intended to raise the city minimum wage to $15 by the year 2021, starting with a $10 rate effective July 1, 2017. However, it also specifies that the city’s minimum wage must always be set at least $2.00 above the state minimum wage. Voters approved the proposition during the November 8, 2016 general election, turning it into a city ordinance. 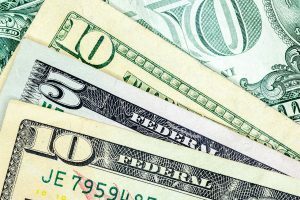 The state wage increase also means that Flagstaff’s minimum wage will increase again to $12 per hour in July of 2017 in order to meet the requirement that the city’s minimum wage remain $2 above the state’s. Under the original schedule, Flagstaff’s minimum wage would not have jumped to $12 per hour until 2019. Arizona’s Prop 206 also mandates that employees be allowed to earn and use paid sick time starting July 1, 2017. For many Flagstaff employers, this series of sudden mandatory business expenses seemed like too much, too soon. The group Elevate Flagstaff, with the support of local business organizations, raised enough signatures to place their own initiative amending the minimum wage ordinance onto the next city ballot. Elevate Flagstaff’s proposed amendments would drop the city’s higher wage back to state levels until 2021, when the state wage’s scheduled increases come to an end. At that point, the Flagstaff minimum wage would be set at 50 cents above the state minimum wage. The Elevate Flagstaff initiative would also maintain the tipped minimum wage, which under the original ordinance will be gradually raised until it equals the general minimum wage. Supporters of the amendment initiative were hoping for the city to hold a special election in May of 2017, at a cost of $156,000. Councilmembers cited this expense, along with the historically low turnout for off-year elections, as reasons they chose not to implement this suggestion. Some also referenced concerns regarding the Arizona Voter Protection Act, which requires that changes to a citizen initiative be made only if they further, rather than counteract, the intention of the initiative. The council instead voted nearly unanimously not to take action on a special election. As a result, the Elevate Flagstaff initiative will be automatically placed on the ballot for the November 2018 general election. Councilmembers also said they would have city staff review state and local law to see if the minimum wage ordinance can be legally amended. In the meantime, Flagstaff employers should plan for the minimum wage to increase to $12 on July 1. We here at CPC will keep you updated on events as they occur, including the mandatory notice informing employees of the city’s minimum wage rate that employers will be required to post. Follow us on Facebook and Twitter to keep up with the latest news.